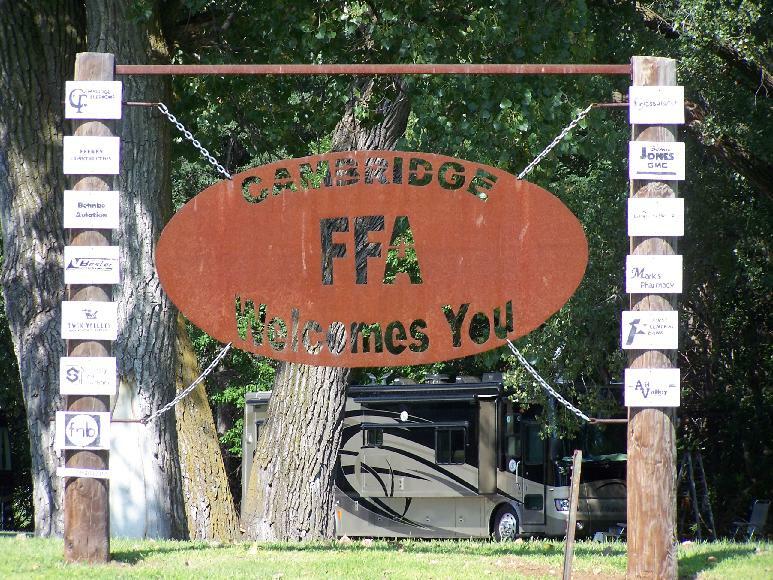 Cambridge City RV Park is our featured campground in Nebraska. It is just one of many excellent community campgrounds with RV facilities in Nebraska. RV camping opportunities are located throughout Nebraska. The Cornhusker State offers campers and RVers free and inexpensive campgrounds in or near almost every community in the state. The National Park Service (NPS), US Forest Service (USFS), and state and community parks offer facilities that vary from dry camping to full RV hookups. Private RV Parks – Research tools for finding the best RV parks and campgrounds in Nebraska. National Park Service – NPS information about camping at Nebraska NPS administered areas. US Forest Service – USFS camping information and links to each National Forest web site in Nebraska. US Army Corps of Engineers – USACE/COE information about Corps lakes and camping opportunities in Nebraska. US Fish and Wildlife Service – FWS information about wildlife refuges in Nebraska. Nebraska State Parks – Information about camping and other outdoor recreation opportunities. Nebraska Game & Parks – Nebraska wildlife management areas allow free camping! Their website has the rules and locations. Nebraska State Tourism Website – Where to go, and what to do. Includes campgrounds. Camping Reservations – Nebraska State Campground Reservations. Nebraska Sanidumps – RV dump locations listed alphabetically by town name. RV Dump Stations – Places to dump your RV in Nebraska. Nebraska Camping Maps – We've generated a map of 50 public campgrounds across Nebraska. This map shows many, but not all free and low cost Nebraska RV camping locations. No federal campgrounds are shown. The following are just a few examples of Nebraska community campgrounds. Click the links below for maps and Nebraska official community campground and RV camping information. Municipal campground offers RV camping by donation. Water, electric and sewer available. Allen is a lovely small town of just over 400 people. RV camping is available with donation at Garden Club Park. This municipal park offers water, electricity, RV dump station, fishing, swimming and a playground. Streeter Park offers donation fee RV camping. 18 campsites, water, electric, dump station, fire grates, swimming, playground. $6 will pay for an RV or tent campsite at Bancroft Park. Water, electricity, RV dump, flush toilets, and playground. Donation fee for RV camping sites as well as tent locations at Bassett City Park. Water, electricity, RV dump, flush toilets, fire grates, swimming, and showers. 3 municipal campgrounds are available for RV camping with Riverside Park being the least expensive at $9. Westside Park offers inexpensive RV camping. $6 per night or $30 per week with water, electric, RV dump, flush toilets and more. A short distance off I-70, the City Park offers donation camping with electric, flush toilets, fire grates, water, swimming and a playground. 3 day limited free camping available at Feits Memorial Park. Water, fire grates, and fishing. 14 day free RV camping limit is available at Bruning Dam. Vault toilets, boat ramp and fishing are available. The Cambridge City RV Park is a great place to spend a night or a week. Located along the Republican River, Cambridge offers many recreational opportunities. First 3 day free camping, then $5 per day at Mill Park. Water, electric, RV dump,flush toilets,fishing, and playground. Cody Park Campground offers 7 day limited camping. $5 per night with 40 RV spaces, RV dump, flush toilets, fire grates, drinking water, boat ramp, and swimming. Wymore Arbor State Park offer 14 day stay limit with a $7 per day charge. Water, electric, RV dump, flush toilets, and swimming.